Now is the ideal time to use electricity. Prices and demand on the provincial grid are at their lowest. With time-of-use (TOU) prices, customers pay prices that generally reflect the relative value of electricity supply at different times of the day. There are three TOU periods – on-peak, mid-peak and off-peak. Prices are highest during on-peak, lower during mid-peak and lowest during off-peak. TOU prices encourage households and small businesses to use electricity during lower-cost time periods. TOU prices are set to be cheapest when demand is lower: during the evenings, on weekends and on holidays. When demand is lower, most of the electricity we use comes from power sources such as nuclear generators and large hydroelectric stations. These sources, which are designed to run all of the time, are referred to as “baseload” power. As daytime begins, more people and businesses turn on their lights, appliances and devices. As the increased demand exhausts all available baseload power, the province turns to sources that generally cost more, such as natural gas-fired plants that can be called into action quickly to meet rising demand. Renewable sources, such as solar and wind, contribute to our supply needs when they are available. TOU price periods are different in the summer than they are in the winter. Your electricity bill includes the costs for the electricity that you use (billed at TOU rates), the services your local utility provides and some other costs. Find out more about the other charges that appear on your bill. 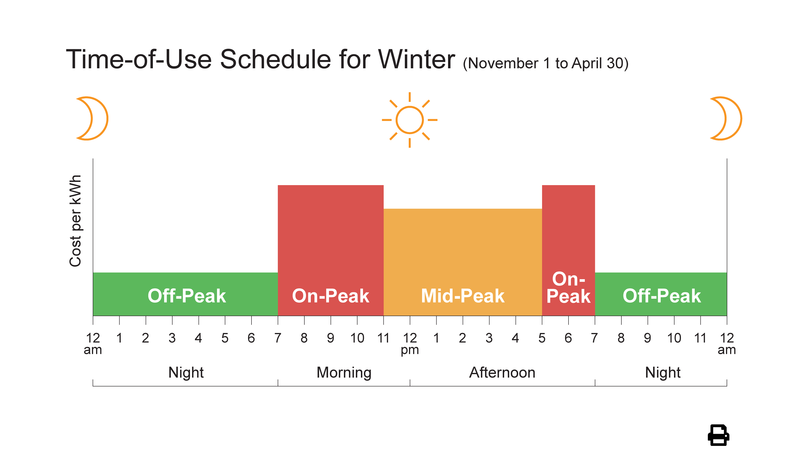 In winter, with less daylight, electricity use peaks twice: once when people wake up in the morning and turn on their lights and appliances, and again when people get home from work. During the summer, people use more during the hottest part of the day, when air conditioners are running on high. 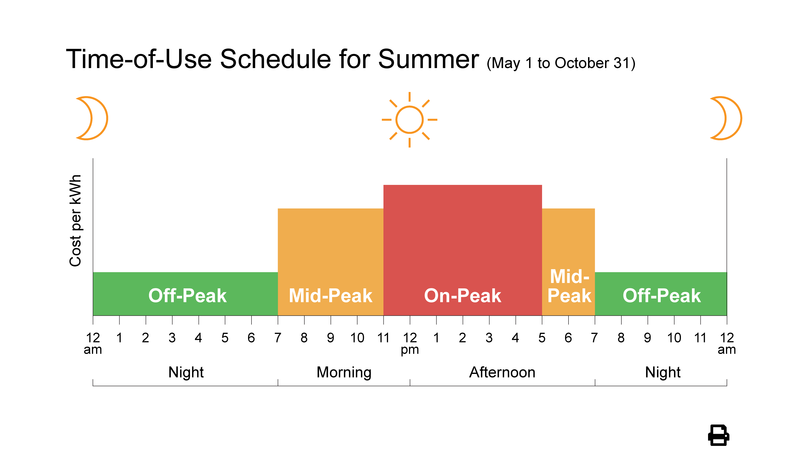 Electricity used on weekends and holidays is charged the off-peak price during both the winter and summer periods. Here are the holidays when off-peak prices are in effect. If a holiday falls on a weekend, the following weekday will have off-peak prices in effect all day. Easter Monday is not a holiday recognized by the OEB for the purposes of calculating electricity consumption at off-peak pricing, and therefore regular Time-of-Use prices apply on this day. 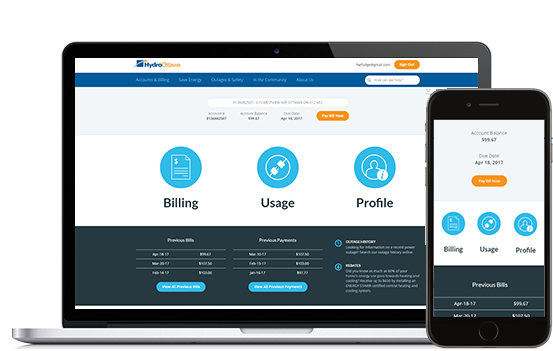 Looking for online access to your account balance, payment history and electricity consumption? You can access a wealth of information about your Hydro Ottawa account.